Home Anime disney Disney XD Hasbro Japan Manga new york comic con Nintendo Nintendo 3DS nycc Viz Media Watch Yo-Kai Yo-Kai Watch JAPAN’S NEWEST ANIME FRANCHISE YO-KAI WATCH PREMIERES! 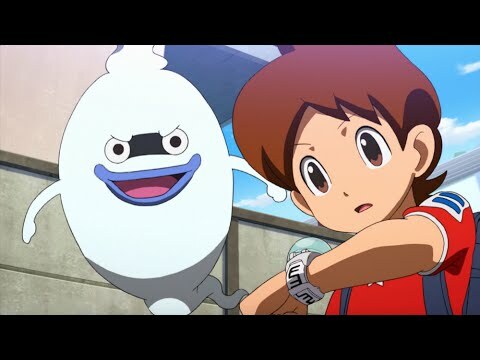 JAPAN’S NEWEST ANIME FRANCHISE YO-KAI WATCH PREMIERES! 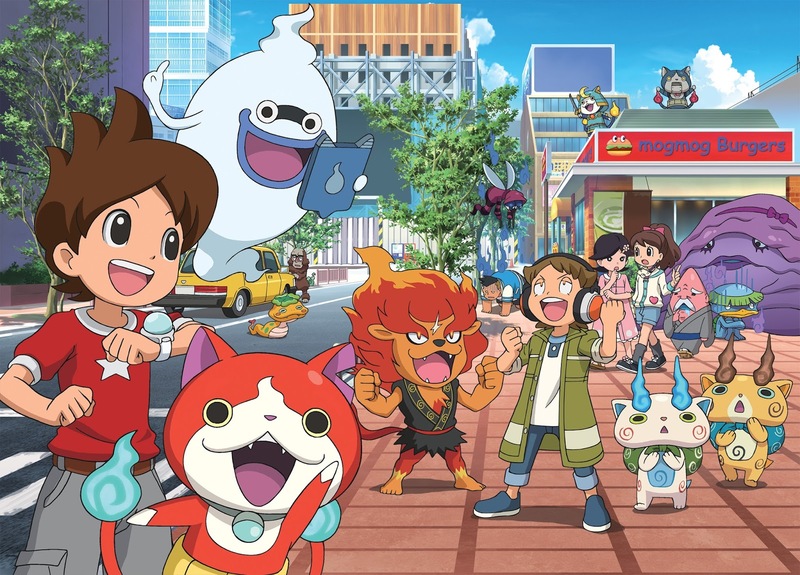 In the United States, the Japanese brand phenomenon YO-KAI WATCH™ premiered on Disney XD Monday, October 5th, 2015 from 5-5:30 ET/PT with a new episode premiering each night this week. Join Nate and his Yo-kai friends in this brand-new animated comedy series, following the hilarious misadventures of an average human boy, and his involvement with the mischievous Yo-kai all around him! VIZ Media launches their manga throughout North America on November 3rd. 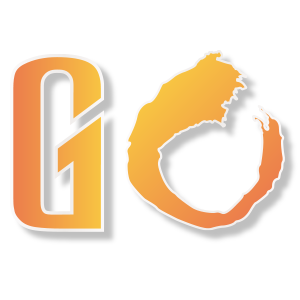 The North American video game launches exclusively on Nintendo 3DS™ on November 6th. In January 2016, Hasbro will launch its highly anticipated toy line in North America. The YO-KAI WATCH franchise will continue its official US launch as the title sponsor of the Family HQ experience at New York Comic Con (NYCC), the largest pop culture event on the East Coast. Attended by more than 150,000 fans, the NYCC show floor plays host to the latest and greatest in comics, anime, manga, video games, toys, movies and television, and this year the mischievous YO-KAI are in on the fun! From Thursday, October 8th through Sunday, October 11th, all NYCC attendees are invited to visit the Family HQ and view screenings of the animated series, play the YO-KAI WATCH game for Nintendo 3DS™, demo new toys, games and digital experiences from Hasbro, check out the new YO-KAI WATCH manga from VIZ Media, attend Jibanyan costume character meet & greets and YO-KAI WATCH dance parties, take home giveaways and more! For more details on New York Comic Con and the YO-KAI WATCH Family HQ, visit http://www.newyorkcomiccon.com. 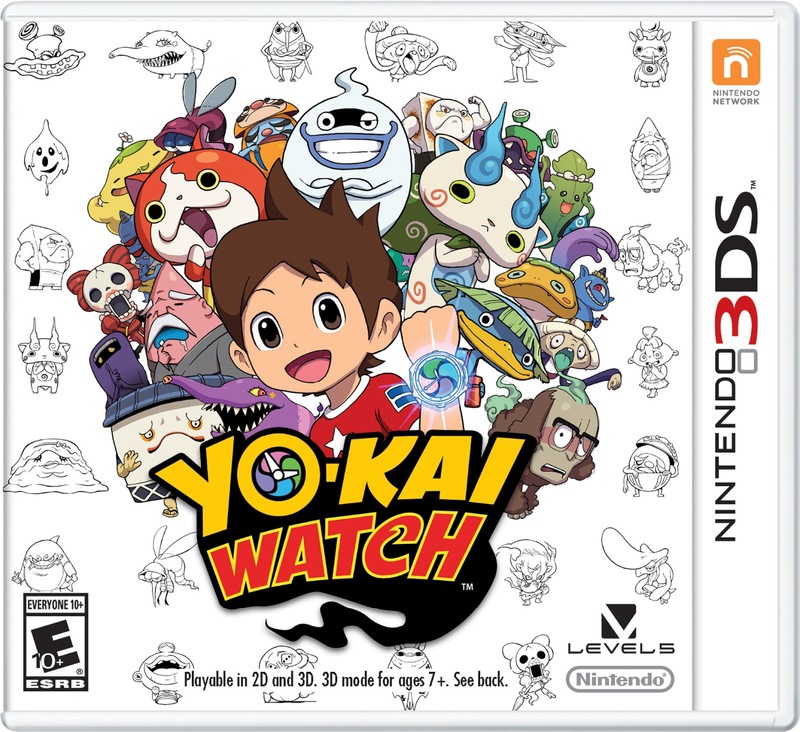 The launch of the franchise will continue over the next few months with multiple product roll-outs, including: On November 3rd, VIZ Media will launch its YO-KAI WATCH manga nationwide, followed by Nintendo on Nov. 6 with the launch of the YO-KAI WATCH game for its portable Nintendo 3DS system. 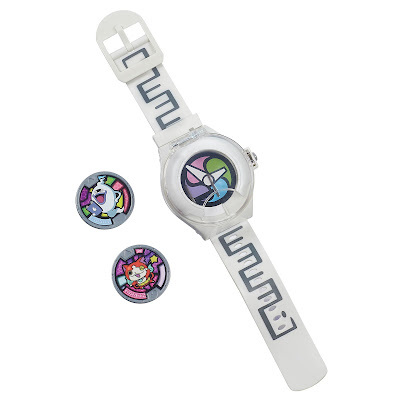 You explore the world in the game using your Yo-kai Watch to discover more than 200 Yo-kai, then befriend them and turn them into a team to battle other Yo-kai. Each Yo-kai has its own unique skills and strengths, so you must use them to challenge troublemaking Yo-kai and help people in the game solve their daily problems. The North American video game launches exclusively on Nintendo 3DS™ on November 6th. Leading global play company Hasbro, Inc. (NASDAQ: HAS) will introduce an exciting, multifaceted toy line beginning January 2016 ranging from collectible character medals & figures to collection books, to plush and figures. Fans will be able to wear their own YO-KAI watch accessory, similar to those seen on the animated series, and "summon" YO-KAI characters by sliding the YO-KAI medal into the watch to identify each character, including Jibanyan and Whisper, and hear sounds and tribe songs. New collectible medals and related product will be introduced as the line continues into Fall 2016.